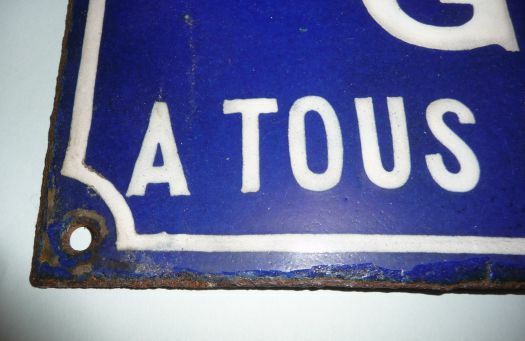 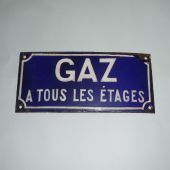 Interesting enameled sign, for decoration or collection. 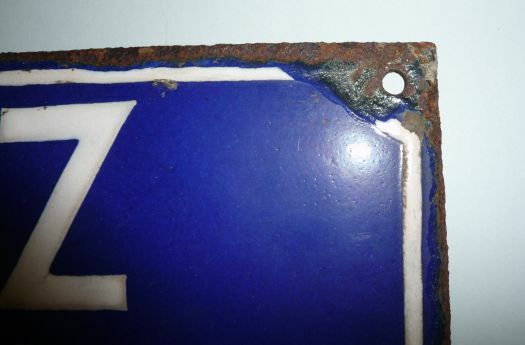 Condition is not perfect, there are some lacks of enamel on the edge and rust behind. 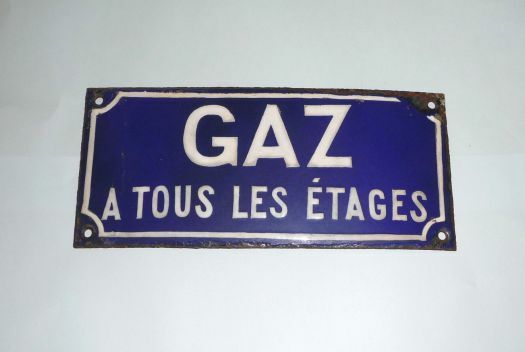 But it is old and bumped. 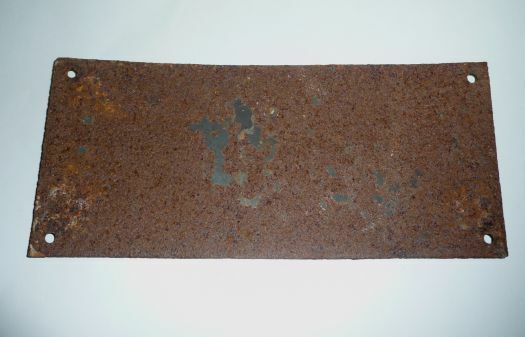 25 cm x 11 cm.